There’s no arguing that the hip hinge is the most elemental movement pattern in our repertoire. A successful hip hinge has translations into most activities and exercises we perform on regular basis. Break apart Olympic and Power-lifting exercises and you will see the need to load up the posterior hips, as is taught and created during a hip hinge. We can see a hip hinge in every activity from sitting on the toilet to a kipping pull-up to a kettlebell swing and a dead-lift. 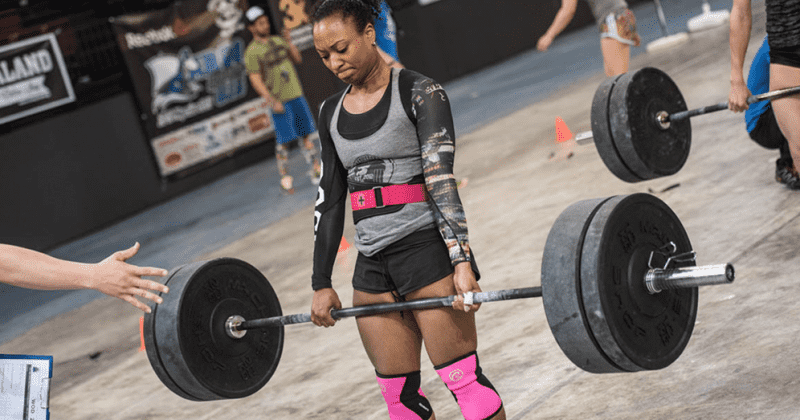 A deadlift has long been considered the quintessential exercise. One that has a huge transfer over into other exercises and also one that we really use to define how “strong” a person is. Really, if you can’t hinge, you can’t perform. Hips are mobile, pelvis is stable. It really is that easy. 1. Hip Mobility: let your hips rotate in the way they are supposed. A hip hinge can accurately be described by the laymen as a “toe touch.” From a standing position, if you bend at the waist to touch your toes you are effectively hinging at hips. The degree to which you are able to do so looms largely on the mobility of the posterior tissues that attach from the base of your foot to brow of your skull. This isn’t limited to the calf, hamstring, and erector spinae groups of muscle but more so the connective tissue that binds them together. 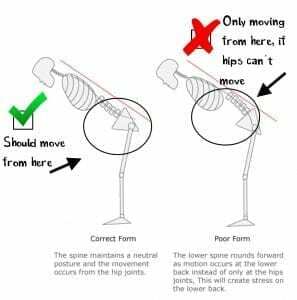 If any of our joints along this posterior line are out of place for too long or for too often (IE our low back spends too much time rounded from sitting too much) then the fascia that binds our muscles together will develop adhesion’s and limit range of motion. Using the example of sitting with a rounded back, our musculoskeletal system allows us to be really good at bending from our lower back, but in return we give up our ability to extend through the hips adequately. These are the athletes who you will see have a round a significant amount in their lower back. They do this because their brain just wants to get the job done and if the hips aren’t going to the work, then the central command will find another way. 2. Spinal Stability: keep your core rigid to allow for an anchor point for muscles to create movement. The most efficient and safest way to hinge from the hips is to recruit the muscles of the back side of the body. Hip extension is performed with cooperation between the brain and powerful gluteal, hamstring, and back extensor muscles. For our musculature to be most effective in generating force we have to think of them as elastic. The farther we can stretch them out, the greater the recoil and the larger amount of concentric force we can generate. Individual muscles have an origin and an insertion point, in a nutshell, what we want to build up this elastic energy is stretch the origin and insertion farther from each. The inability to keep the spine stable (low back and upper back rounding), creates too many joints moving at the same time. From a mechanical standpoint this prevents the backside from doing its job effectively and puts the spine in a bad position because now it is essentially asked to pick up heavy loads during exercises like a dead-lift. Before anything you have to figure out exactly what to fix. A wise man once told me that the problem with movement is that it is moving. In a pattern like hinge at the hip, there are a ton of things that are happening and a ton of things could go wrong. So the key really is to try and make to make fixing movement errors by making it simple. The simplest way to address a movement error is by not moving. 1. If it looks bad, don’t do it that way. If you are reading this as a coach and you see a movement that doesn’t look right, stop it! Even if you aren’t sure of what to do or say, give yourself a chance to figure it out before more damage is done. Our brain wants to be on autopilot. The more we let our command center develop a movement pattern and strategy, the more it will become the way we do things and the harder it will be to change. Sometimes by just recognizing an error and giving a cue things get fixed. 2. Look at your posture. Knowing that a successful deadlift requires an effective posterior chain makes it essential that our bones are in the correct place. If our any part of our alignment is off to being with, the movement has to be altered. For instance, we live in a computer age during which many people are sitting in front of screen for many hours at time. The end result is a greater number of people have present a posture with a forward head carriage. If nothing else at all this makes the hips work harder to extend the spine back during a deadlift. Neutral spine position doesn’t just refer to rib-cage and pelvis being parallel, it also means a head stacked above the shoulders as well. A forward head is problematic for the dead-lift pattern, because it promotes cervical lordosis and adhesion’s develop in the base of the skull. As a result the fascia in the upper posterior chain gets “locked” down and can limit the amount of extension we can get out of our hips. 3. Address the soft tissue. Postural deviations create soft-tissue problems that can’t be erased with stretching alone. A foam-roller or lacrosse ball is an absolute must for anyone who is serious about relaxing overworked tissue but also can be a key to finding out what parts of your body aren’t working correctly. If you realize that body isn’t moving correctly and you are unsure of where it is, use the foam roller to “scan” yourself. Your muscle should never be sensitive to the touch. If it is, then something is wrong and is overworking. You know have yourself a launching point to a corrective exercise program. 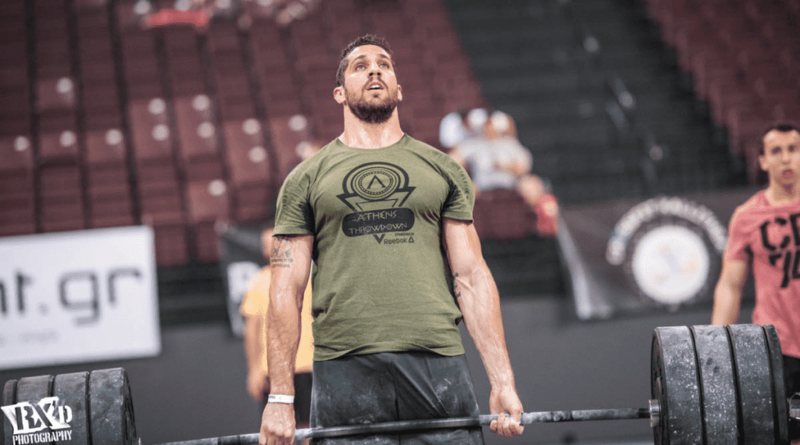 Corrective exercise programming is a sequential set of exercises designed to relax overworked tissue, restore balance between musculature involved in deviations, and integrate proper movement patterns with newly aligned bony structures. Just remember, the more specific we get with our fitness the more detailed we need to recognize what is going on with our bodies.